RIZZOLI & ISLES - HIT SERIES ON TNT - NEW YORK TIMES BESTSELLER "Crime writing at its unputdownable, nerve-tingling best." --Harlan Coben Boston medical examiner Dr. Maura Isles is shocked to discover that the murdered woman looks exactly like her. For Maura, an only child, a DNA test confirms the startling fact: the mysterious doppelganger is in fact her twin sister. Now an already bizarre homicide investigation becomes a disturbing excursion into a past full of dark secrets and twisted truths. It is a journey that leads Maura to the mother she never knew--an icy and cunning woman who gave Maura life . . . and who just might have a plan to take it away. Don't miss Tess Gerritsen's short story "John Doe" and a special excerpt from her novel Girl Missing in the back of the book. 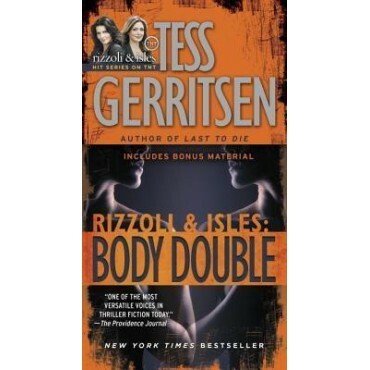 Praise for Tess Gerritsen and Body Double "One of the most versatile voices in thriller fiction today."